Monkton Barn and Home Meadow make a lovely setting for your Civil ceremony, Wedding reception and celebrations. Our beautifully-converted barn is set in the lovely secluded Chiltern countryside. Serving London, Bucks, Berks, and Oxon. We aim to be the most welcoming, flexible and helpful hosts for your civil wedding, wedding reception and celebrations. We are here to help make your plans come to life and we want you to enjoy the entire process with us. 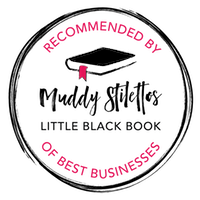 With our directory of tried and tested suppliers and contractors available at your beck and call, we aim to give you absolutely everything you need to help you make all your dreams come true. We never forget this is YOUR day and we will give you as much or as little help as you like to suit your desires and your budget. Think of Monkton Barn as your blank canvas on which to design and paint your very own masterpiece, whether that’s a civil ceremony with a formal reception followed by a beautiful wedding breakfast or something informal with a village fair, camping, glamping, fireworks and music around a camp fire on Home Meadow. Whatever you choose, our aim is to provide you with the day of your lives and a desire to return to Monkton Barn for future celebrations. Hold your wedding reception at our stunning country barn venue in Bucks (also serving London, Berks and Oxon) and we can help you with catering, a wedding and party planning service, live music and our in-house award-winning wedding photographer.